Spring brings with it positivity, activity and greater certainty for buyers. It has been a chilly winter forcing many Hawkesbury residents into hibernation. With the federal elections, council amalgamations and continued lowering of interest rates now addressed, home owners are now looking forward to more certainty. We all like certainty, both buyers and sellers alike. Certainty in the local housing market brings positivity and greater activity, so if you have been thinking about selling, the timing couldn’t be better. 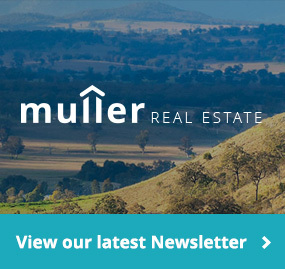 Come have a chat with the team at Muller Real Estate where we can assist you to make your next move an enjoyable one. Click below for our getting ready for spring brochure. Are you living the good life yet?